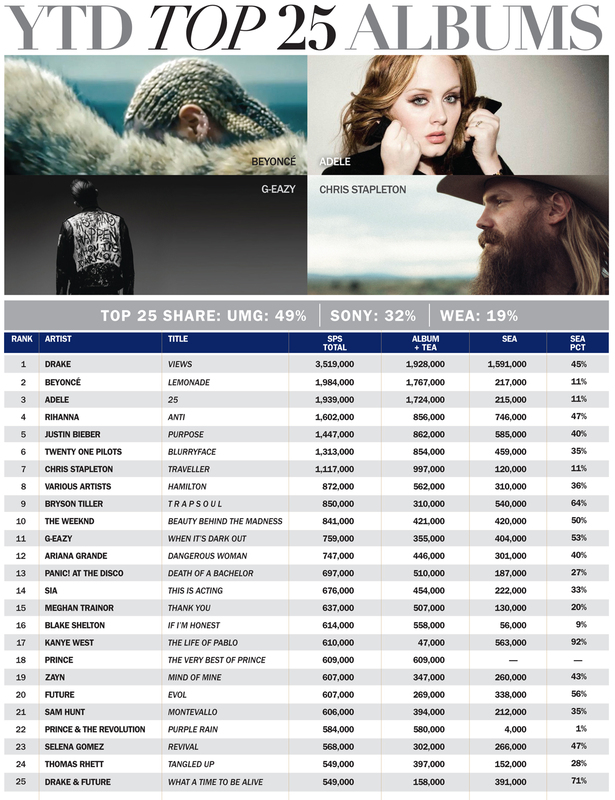 We follow our breakdown of group and label marketshare after three quarters with the Top 25 albums and singles, necessarily encompassing streams as well as sales. 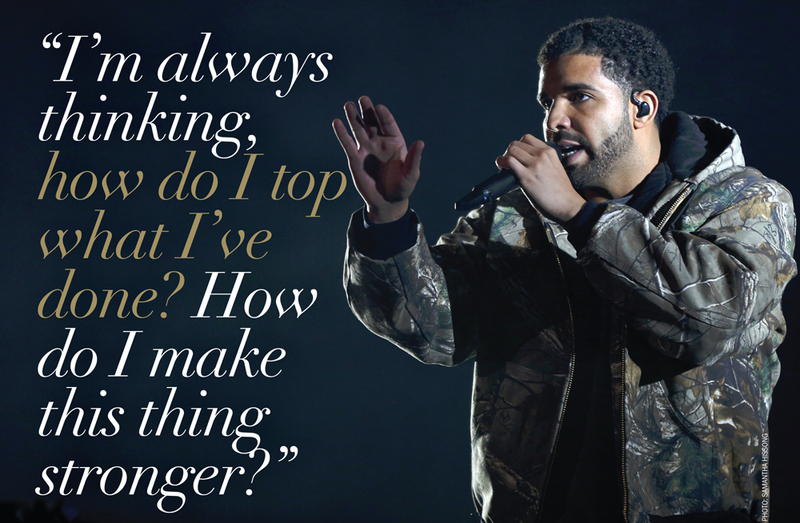 Here’s a stat that tells you all you need to know about this state of music and the biz in 2016: Tracks from Drake’s Views have been streamed 2.4 billion times YTD. 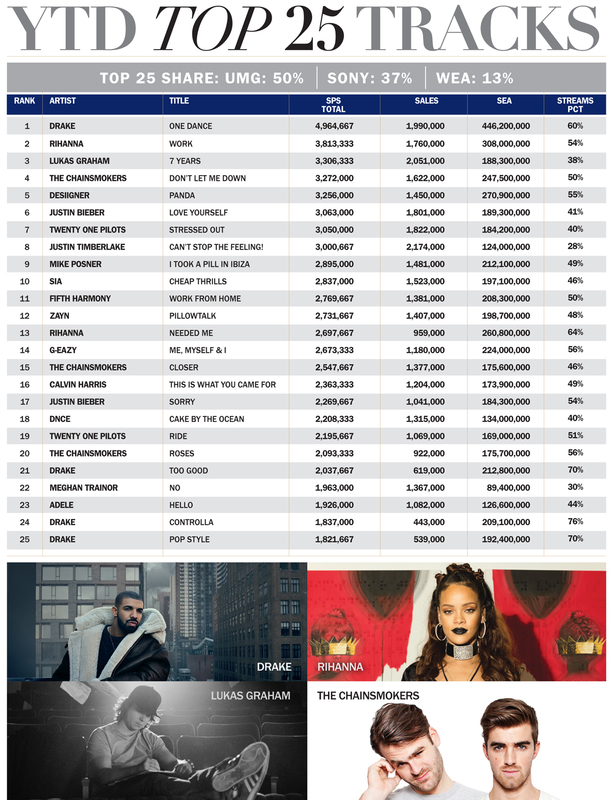 To put things in perspective, the top 100k songs on Tidal have been streamed 2.1b times combined for the same period. Dude’s having one helluva year, and he all but predicted it months ago—see above.